← Free Crochet Pattern: Chocolate Easter Bunny Mini-Plush! 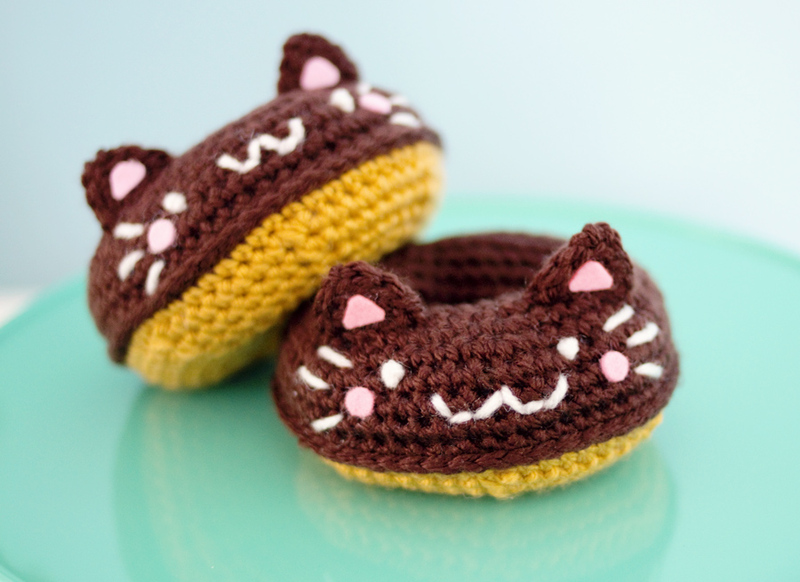 New Item in My Shop: Kitty Donut Hair Clips! 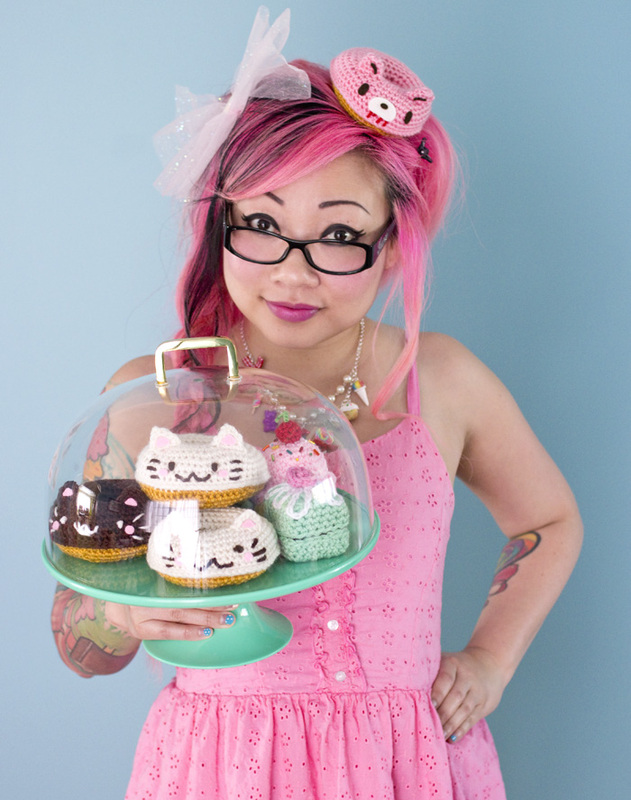 You can now buy vanilla or chocolate Kitty Donut Hair Clips in my Etsy shop! Each one has a slightly different personality, but they are all super sweet and cute! I was afraid they would look weird as hair pieces, but I really love how they look while worn. Like I have a little napping kitty on my head! 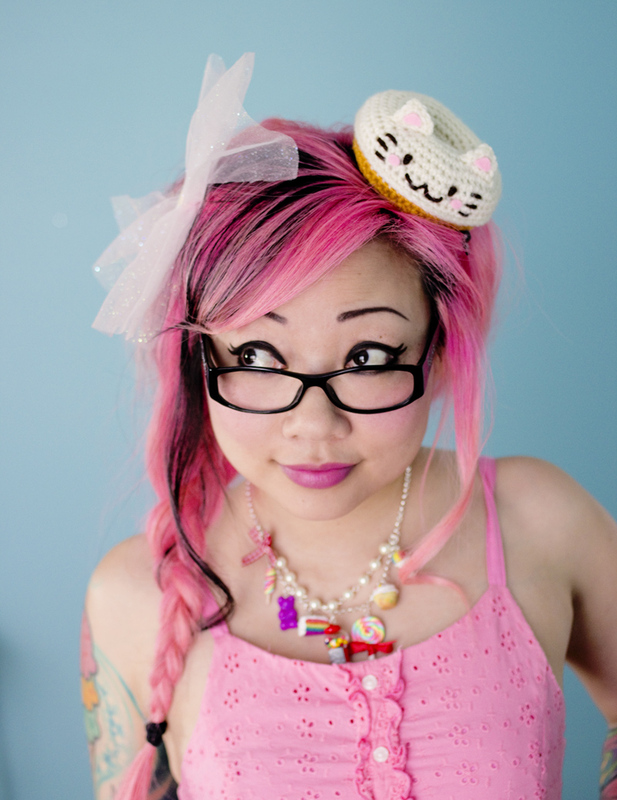 10 Responses to New Item in My Shop: Kitty Donut Hair Clips! OMG! 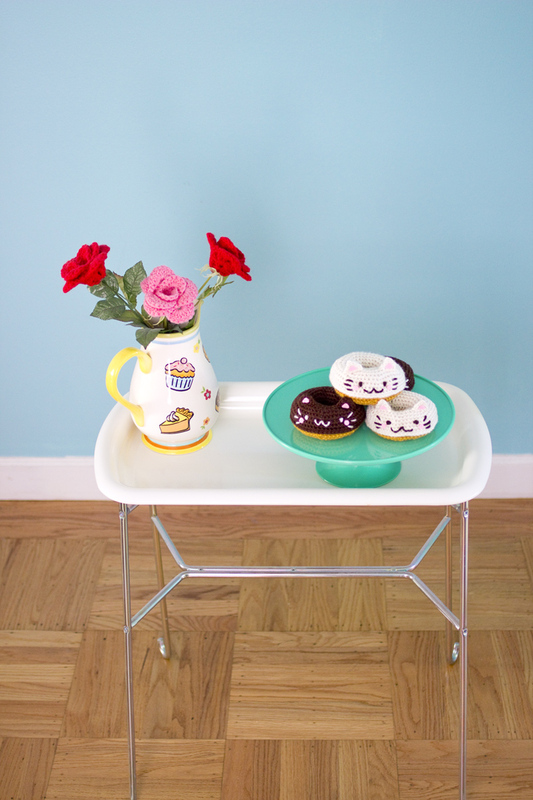 These little donuts are so cute! But I really love the pink gloomy bear! Can I commission one? I saw that you dont have them on your etsy store and my daughter loves gloomy bear! Thank you! I have a could of your scarves already (sushi and hello Kitty characters) I love your crochet! Hi! As I mentioned in my post, I will not be selling Gloomy Bear donuts, because I don’t like to sell things with other company’s characters on them without permission or a license/contract. My Yummy You! deal with Sanrio is a legit license with paperwork, etc. I am working on a purple bear donut, and might mock up a pink bear donut, that’s not particularly Gloomy. Maybe you’d like that when you see? *dies* hands down one of my favourite things you have ever made!!!!! Maybe even my favourite!!! 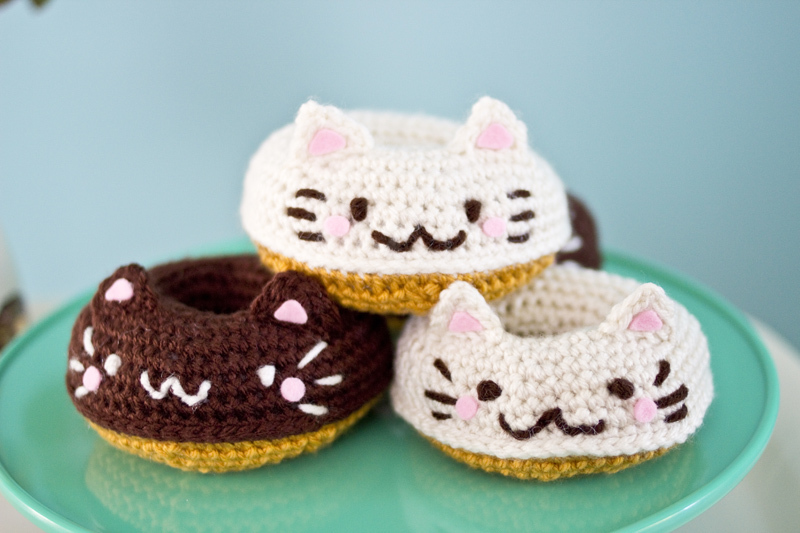 Adorable, I don’t know what I want more a real Japanese kitty donut or a crochet one! Aww thank you! ME TOO! I so love this donut pattern. Is this pattern in any of your books? And, if so, which one? Will you be selling this pattern separately? I would love to purchase the pattern. I just adore your items. What a wonderfuly imagination and creativity you have. I have a very small donut and a very large donut in my next book, but not this particular one. I need to work on that!